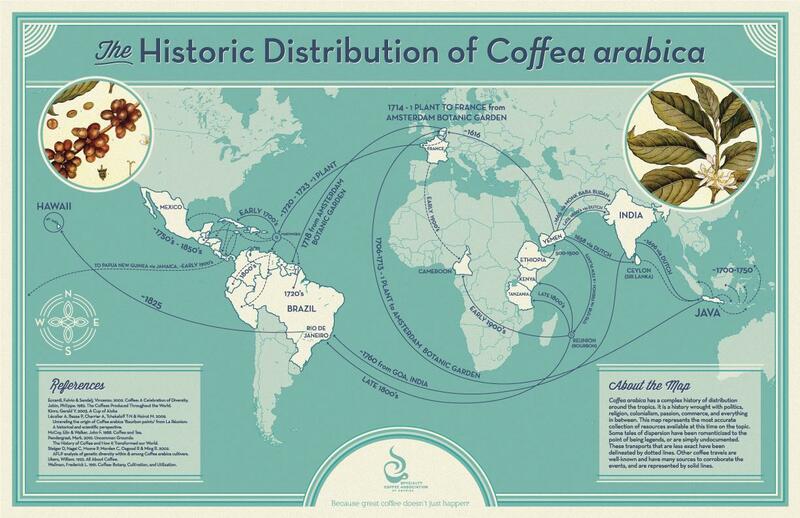 The most widely grown coffee species are Arabica and Robusta. 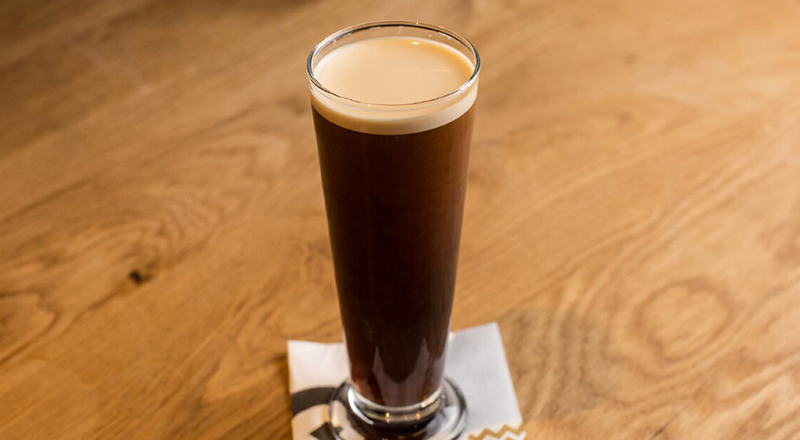 Arabica: is a species of Coffea originally indigenous to the forests of the southwestern highlands of Ethiopia. It is believed to be the first species of coffee to be cultivated, and is by far the dominant cultivar, representing some 70% of global production. Wild plants grow between 9 and 12 m tall. It is endemic to the mountainous regions of Yemen and the southwestern highlands of Ethiopia. Wild arabica is now rare in Ethiopia, while many plants appear to be of mixed native and planted trees. In Ethiopia it is called būna. It has also been recovered from the Boma Plateau in South Sudan. arabica is also found on Mount Marsabit in northern Kenya, but it is unclear whether this is a truly native. The species is widely naturalised in areas outside its native land, in many parts of Africa, Latin America, Southeast Asia, China, and assorted islands in the Caribbean and in the Pacific. Nearly all of the coffee that has been cultivated over the past few centuries originated with just a handful of wild plants from Ethiopia, and today the coffee growing on plantations around the world contains less than 1% of the diversity contained in the wild in Ethiopia alone. Robusta: is a species of coffee that has its origins in central and western sub-Saharan Africa. The plant has a shallow root system and grows as a robust tree or shrub to about 10 metres. The robusta plant has a greater crop yield than that of arabica, and contains more caffeine – 2.7% compared to arabica’s 1.5%. It is less susceptible to pests and disease. Approximately 30% of the coffee produced in the world is robusta. It is mostly grown in Vietnam. It is also grown in Africa and Brazil, where it is often called conilon. In recent years, Vietnam, which produces mostly robusta, has surpassed Brazil, India, and Indonesia to become the world’s single largest exporter of robusta coffee. Brazil is still the biggest producer of coffee in the world, producing one-third of the world’s coffee, though 80% of that is Arabica. 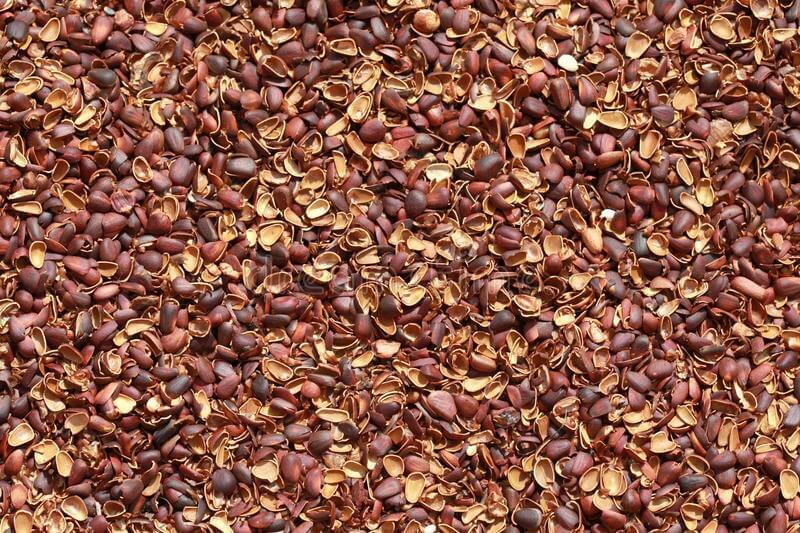 Liberica: a coffee that is native to western and central Africa. The Coffea liberica tree grows up to 20 metres in height, producing larger fruits than those found on Coffea arabica trees. It is still found in parts of Indonesia, central and East Java, and the Philippines, provinces of Batangas and Cavite where a variety known as ‘Baraco’ is produced. 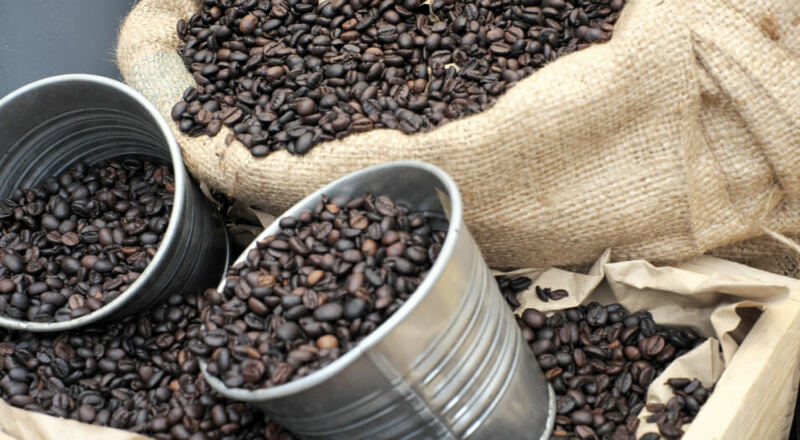 Arabica beans tend to have a sweeter, softer taste, with tones of sugar, fruit, and berries. Their acidity is higher, with that winey taste that characterizes coffee with excellent acidity. Arabica contains almost 60% more lipids and almost twice the concentration of sugar than Robusta. Arabica are more oval, whereas Robusta beans are much more circular. 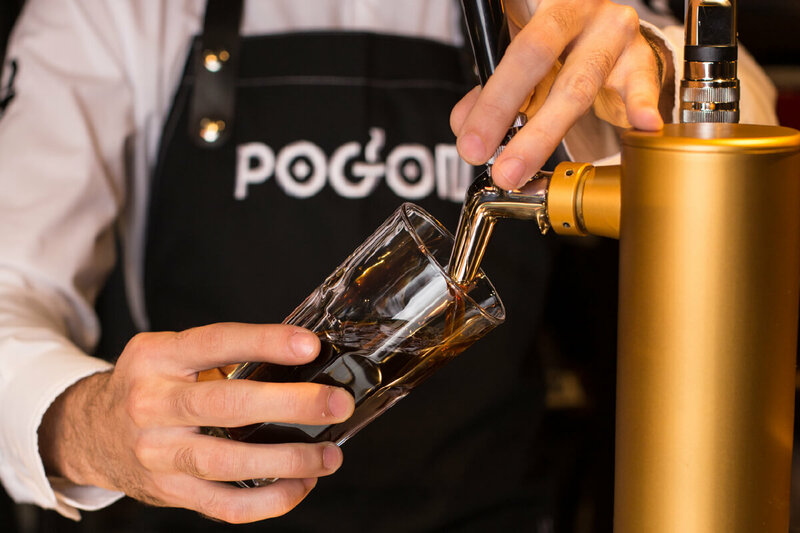 Robusta has a stronger, harsher taste, with a grain-like overtone and peanutty aftertaste. They contain twice as much caffeine as Arabica beans, and they are generally considered to be of inferior quality compared to Arabica. Some robustas, however, are of high quality and valued especially in espresso blends for their deep flavor and good crema. Often Robusta has its taste described as burnt tires or rubbery. 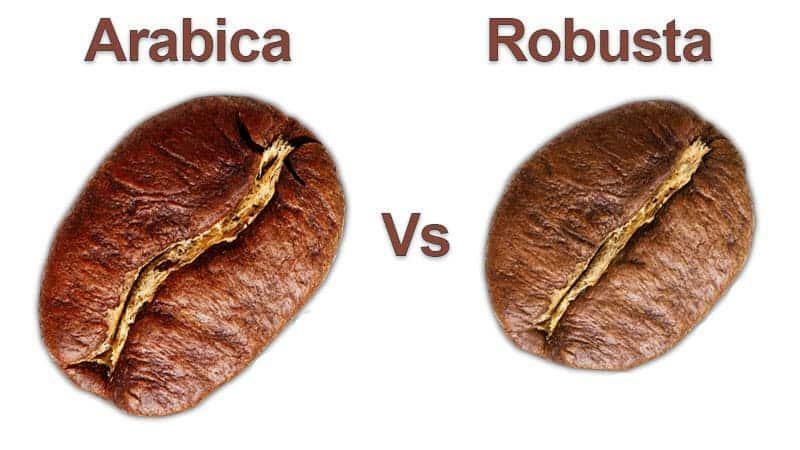 One reason that the taste isn’t as good for Robusta is that it has more caffeine compared to Arabica. Robusta is easier to tend to on the farm, has a higher yield and is less sensitive to insects – the extra caffeine is a chemical defense for the coffee seed as the quantity in the Robusta is toxic to bugs.